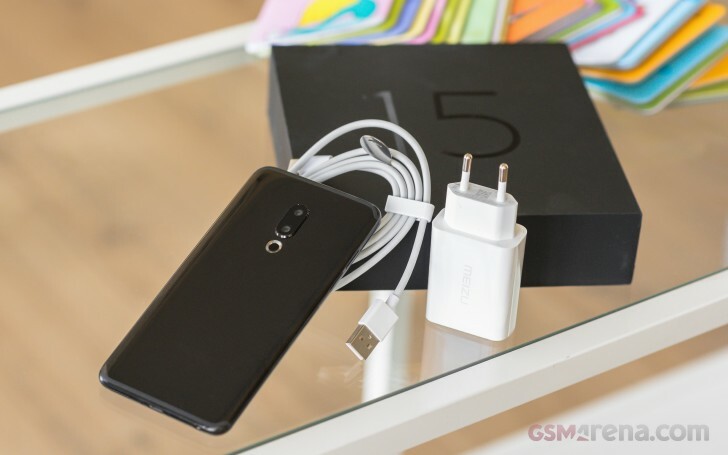 Before we kick off the hardware tour, it's worth noting that the regular Meizu 15 and its bigger sibling, the 15 Plus, are quite alike. The Lite is a bit of a different deal, but despite a price difference of well over $100, choosing between the vanilla and the Plus mostly comes down to your size preference. With "mostly" being an important operative word here, since the flagship Exynos 8895 in the 15 Plus is a notable step up from the Snapdragon 660 as far a raw performance is concerned. But more on that later. For now, let's check out the materials and build quality, which are identical between the pair. That is to say, equally premium. 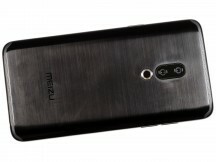 The bulk of the Meizu 15 is its metal unibody. 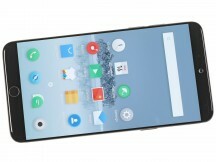 It, however really isn't that bulky, at 143 x 72 x 7.3 mm and not really hefty either, thanks to what Meizu calls a combination of surgical-grade 316L stainless steel and aluminum alloy. This blend makes for a pretty light 152 g device, so we're guessing not a lot of steel has been used for this one. Meizu's marriage of traditional and new in the design department becomes apparent once you close in on the details. 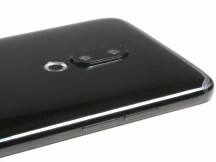 The chamfer-free, rounded body shape, the front-mounted fingerprint reader and 16:9 display are all clearly throwbacks to earlier smartphone design traits. The same can be said about the decorative nature of the antenna lines. Instead of trying to hide them away, Meizu is proudly flaunting what it refers to as a "lucky pattern," stenciled on there. All the while, the 1.175mm (as per official measurements) bezels, on either side of the display clearly scream modern 2018 tech. The front of the Meizu 15 is covered by one seamless piece of glass. Again, rounded near the edges in a slightly retro manner. Meizu hasn't disclosed any official Gorilla Glass or similar protective nature for the finish, which is slightly disconcerting. Still, we have been tossing around our review unit for quite some time now, and its front remains spotless. Unlike the side bezels, the top and bottom chins of the Meizu 15 are of very noticeable thickness. Even so, they're far from wasting space. 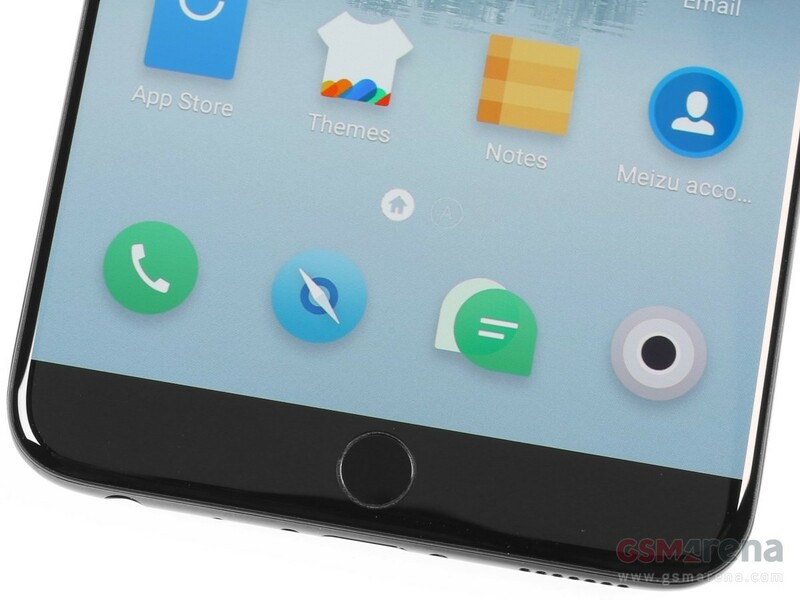 On the contrary, the bottom bezel houses the home key/fingerprint reader combo - a staple of Meizu design. It's not a simple module either, essentially combining biometric security with a solid gesture navigation system for the entire UI. Meizu's current name of choice for it seems to be the "Super mBack button", but that has been subject to change throughout the years. The main point is that it's surprisingly good for navigating the UI and pretty easy to get used to. Now, it's even better thanks to a custom haptic motor, which Meizu has put underneath the display. It provides custom feedback to on-screen controls, as well as the home key and in our experience, it gets you iPhone-level press feedback, which is commendable. It is also equipped with pressure sensors to precisely recognize taps and presses. The fingerprint reader is very snappy and accurate. Its only downside is its limited size. Still, getting used to it is relatively easy. And if you don't, Meizu has been working hard on its facial recognition software. While we can't exactly verify the advertised 0.1 second unlock times, it is very fast to react. We experienced a few failed reads here and there, but no false positives. 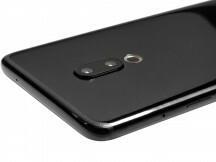 The size of the top chin is easily forgiven as well, since it houses pretty big 20MP selfie camera. And that's not all. Both the Meizu 15 and 15 Plus have a hybrid stereo speaker system, with the earpiece acting as the second channel. That takes up a bit more space as well. The back of the Meizu 15 might give off the impression of brushed aluminium, but it doesn't actually feel that way. The surface is pretty smooth to the touch and almost has a slightly plastic feel to it. Now, we're definitely not saying this with any negative connotation. It feels solid, yet light. Meizu's particular metal blend does, however, attract an inordinate amount of dirt and is excruciatingly hard to clean without a degreaser. Odd feel aside, the back is solid, with practically no give or flex. The circular LED flash on the back is definitely worth a mention. It consists of six separate and apparently individually addressable LEDs. We know the latter to be true, since you can enable a whole bunch of fun effects for the ring of lights when you use it as a notification LED. 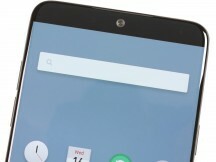 By the way, there is a regular notification LED on the front of the phone as well. Since the sides are all part of the back assembly, there is nothing else to really comment on materials. The control layout is pretty standard as well. 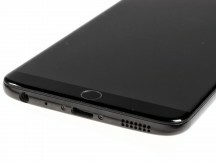 Volume rockers on the left, power button on the right. 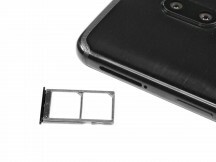 Above that - a SIM tray. Sadly, it's not a hybrid memory expansion affair, the Meizu 15 simply lacks a microSD slot, so be sure to pick up a big enough memory configuration for your needs. 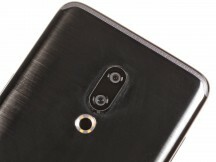 The top of the Meizu 15 is practically empty, only housing the secondary noise-canceling microphone. The main one is on the bottom, along with a 3.5mm audio jack, a loudspeaker, and a USB Type-C port. The latter is only backed up by a USB 2.0 controller, but the speeds are still surprisingly good. USB OTG is also supported.